drawmein: Third Appearance! 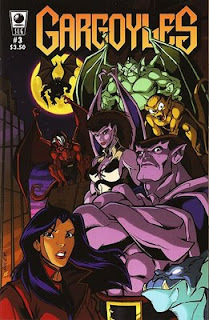 Gargoyles #3 by David Hegdecock! Third Appearance! Gargoyles #3 by David Hegdecock! I approached both David Hedgecock and Greg Weisman (the artist and writer of the book) at the Gargoyles IDW table in 2006 at San Diego and handed David a flier. He took very much to the idea and said he'd fit me in. Later in our only e-mail exchange he said I might be in issue #2 or #3. 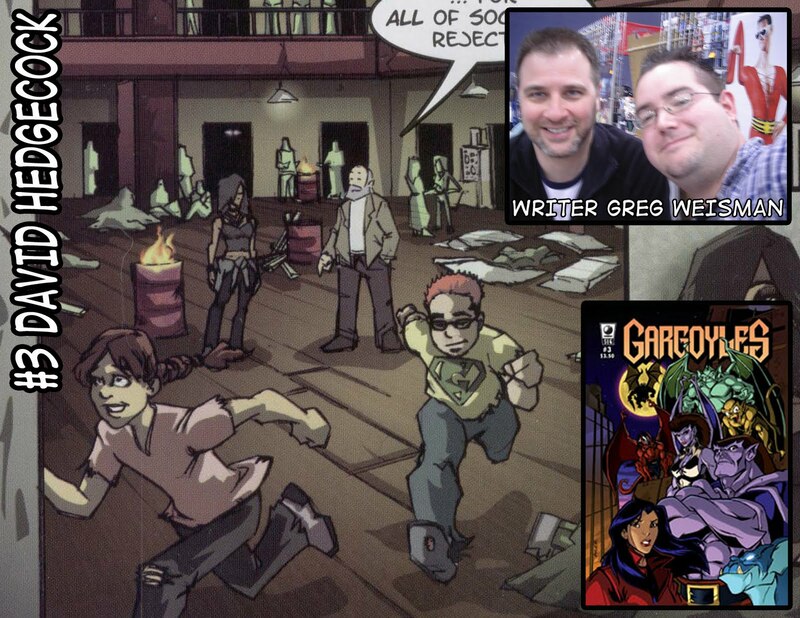 With the passing of time (as the book was delayed for a while) Gargoyles #3 came out and sure enough, there I was. And even better, I had a green "G shield" shirt on; similar to the green "S shield" shirt I had in my flier. A very nice touch, I felt. I was never able to get hold of David again, neither through either the e-mail address I had nor through SLG. I even mailed a letter to the letter column of Gargoyles, but have yet to hear anything from it. Before the appearance I had the chance to meet Greg Weisman again at a convention in Missouri. Wish I had thought to take their picture in San Diego. If you're out there, thanks David!